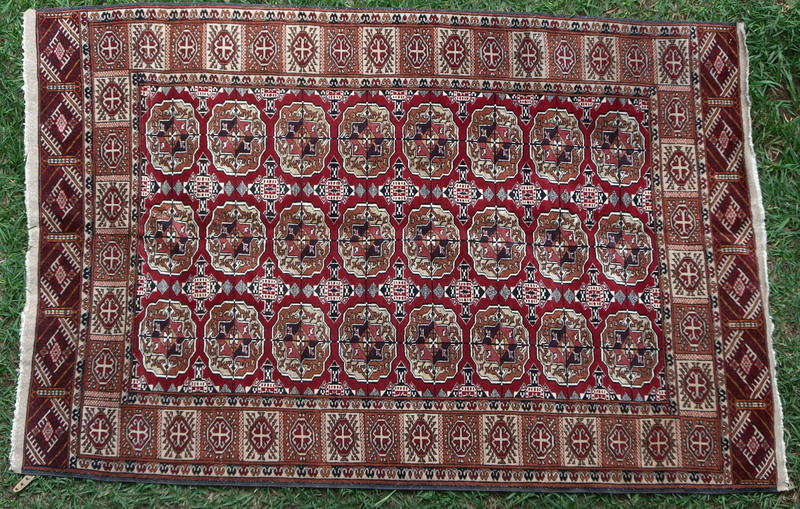 Notes: A pleasing and pretty classic 'Bokhara' Tekke design, in good colours. More regimented than the old orinals, but still a good hand-made furnishing piece. Well-woven.